Widespread sports gambling legalization: 9 states and the US Capital down, 41 states to go. The District of Columbia’s Council has passed the Sports Wagering Lottery Emergency Amendment Act of 2018 11-2 Tuesday, December 18th, now the bill is awaiting the mayor’s signature. With the mayor’s final approval on the bill, D.C. would become the 10th US jurisdiction to offer state-licensed sports wagering. D.C. Mayor, Muriel Bowser (D) wholly supports the legislation, therefore, there is hardly any fear about the new gambling bill not gaining her signature and plans not proceeding. Technically the bill would not be home free as Congress would need to give their approval. However, few expect Congress to reject the bill with newly-elected members to be sworn in which heavily favor Democratic ideals. Therefore, this bill from the Democratic-dominated city is considered safe. Many have great confidence in the bill as author and sponsor for D.C.’s sports gambling bill, Councilmen Jack Evans (D- Ward 2) said early on before the Council vote “We’re entering into new territory with sports gaming” and “…if the bill is signed by the end of this year, sports betting in the District could begin in the spring”. 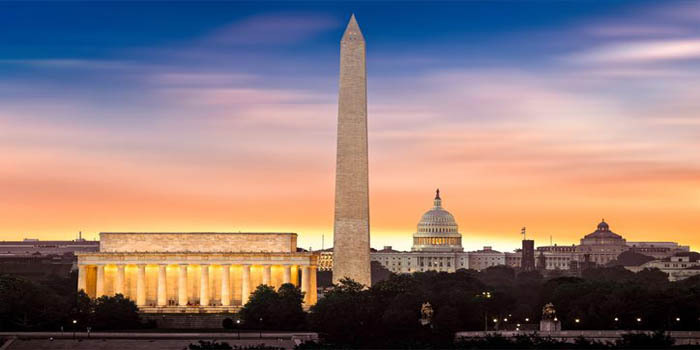 D.C. will be the first US jurisdiction to offer sports gambling opportunities without current casino gambling infrastructure or a land-based market. Therefore, Washington D.C.’s Lottery will be the regulatory body over sports gambling activities. The D.C. Lottery will likely issue sports betting operation licenses on behalf of the city. Applicable businesses in the city eligible for a sports gambling license are sports venues like stadiums and arenas, and private retailers and businesses like restaurants, bars, and liquor stores. Sports venues would need to pay $250,000 for a 5-year license while private retailers would need to pay $5,000 a 2-year license. Mobile betting is permitting within D.C.’s city limits through the D.C. lottery, however, mobile app sports wagering is restricted for on-site betting only at authorized and licensed facilities. D.C. sports gambling operators will be taxed 10% on in-person revenue and 20% for online revenue. The D.C. Office of the Chief Financial Officer predicts sports gambling will raise $92 million in tax revenue for the city over the next four years. While some critics say this figure is overly optimistic, others disagree. The bill has outlined provisions to allocate sports gambling tax revenue to the city’s General Fund, and Violence Prevention, Early-Childhood Care, and Gambling Addiction Treatment programs. Many concerns, however, have risen due to the D.C. Lottery’s monopoly over the city’s sports betting market. Some casino industry groups cited this move could “stifle competition”. D.C.’s current lottery system is provided by Athens, Greece-based Intralot. AGA Vice President, Sara Slane stated “While the vote today is progress, we remain deeply concerned about giving the lottery a virtual monopoly in the mobile market…Predictably, this will result in less investment and innovation, to the detriment of consumers and the ability of a nascent legal marketplace to compete with the accessibility and convenience offered by many established illegal wagering operations”.